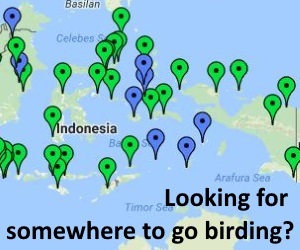 Our Indonesia birding tours take us to this remarkable chain of 17,508 islands, boasting over 1,600 bird species and nearly 400 Indonesian endemics (more than any other nation in the world) – an area that cannot be ignored by the international birder! 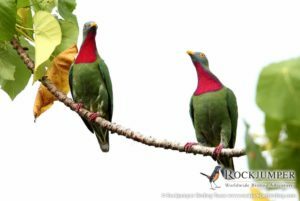 Rockjumper is therefore proud to be offering the opportunity to explore this mind bogglingly biodiverse region, with a suite of birding and wildlife tours to some of the most endemic-rich Indonesian islands. 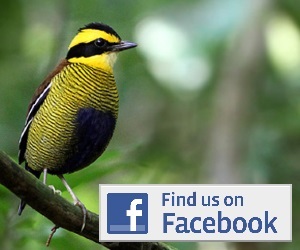 We also offer over 300 tours to over 100 different countries across the world. Details on these tours, as well as stunning images and trip reports from previous tours can be found on our website. We offer a suite of scheduled tours through Indonesia that include areas such as Sulawesi, Halmahera, Lesser Sundas, Bali, West Papua, Buru, Tanimbars and access to a range of remote and seldom explored islands such as Obi, Kafiau and Seram through a fabulous cruise. Our office is based in Pietermaritzburg, South Africa, and is highly proficient in orchestrating the complex arrangements that efficient and organized traveling requires. Questions are gladly answered in a friendly and comprehensive manner, and you will find that booking with us is nothing but a pleasure. We do our utmost to ensure that all your requirements and requests are met; whether before, during or after your tour with us.